We have on-staff telecom consultants with specialized knowledge of the challenges involved. Contract management or contract administration is the management of contracts made between customers, vendors, partners, or suppliers. Contract management requires negotiation and experienced support. LIMITLESS can help analyze current contracts that are in place and renegotiate new contracts to reduce costs. 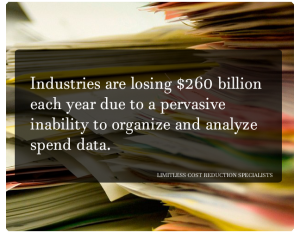 LIMITLESS assists clients by offering complete telecom, utility and vendor contract management services to monitor contract compliance and suggest areas of cost reduction. Many companies experience problems with rates and charges that differ from the rates contained in a contract. Typically, when rates differ, it is not in the customer’s favor. 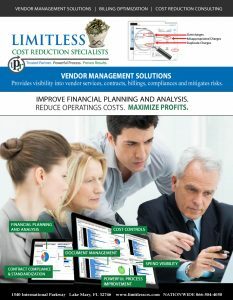 LIMITLESS has on-staff telecom, utility and vendor management consultants with specialized knowledge of the challenges involved in contract negotiation. Step 1: We work to understand the needs of our clients and match those needs with contracts that meet the expectations, budgets and services that our clients desire. Our vast understanding of the industry allows us to offer our clients unprecedented levels of expertise in all matters regarding contract negotiation. Step 2: In addition, we work with clients to plan for future changes that could impact the overall picture. We provide our clients with the flexibility needed to adapt to the constant changes in the industry while still offering methods to minimize costs. From our client’s needs, we work with vendors who will propose multiple solutions to client’s needs. Step 3: We typically undergo contract negotiations with numerous carriers to offer multiple proposals for our client to obtain the most aggressive pricing. 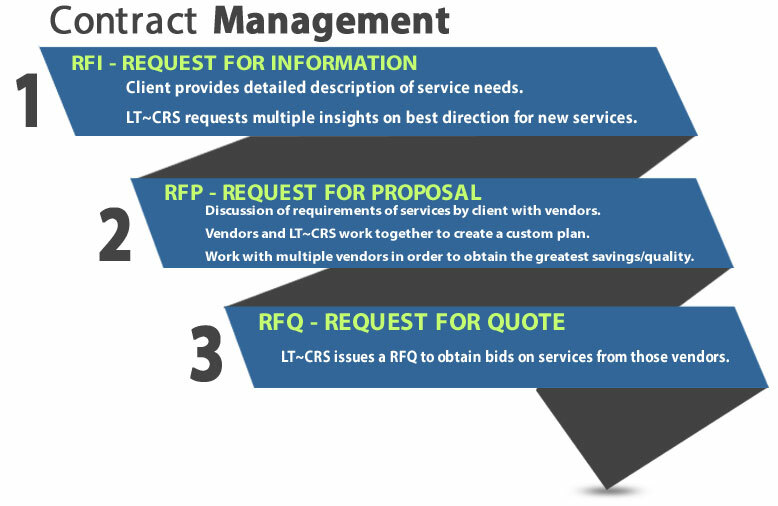 The proven RFI-RFP-RFQ process of evaluation ensures the finest obtainment of services and contracts for our clients. LIMITLESS accepts no compensation from these carriers and is vendor-neutral offering unbiased advice and analysis of carriers and providers, along with their solutions. This allows us to approach negotiations from an objective point of view and provide the most cost-effective solutions for our clients. Contact us today at 866-504-4050 to discuss your next contract negotiation, and how we can help!